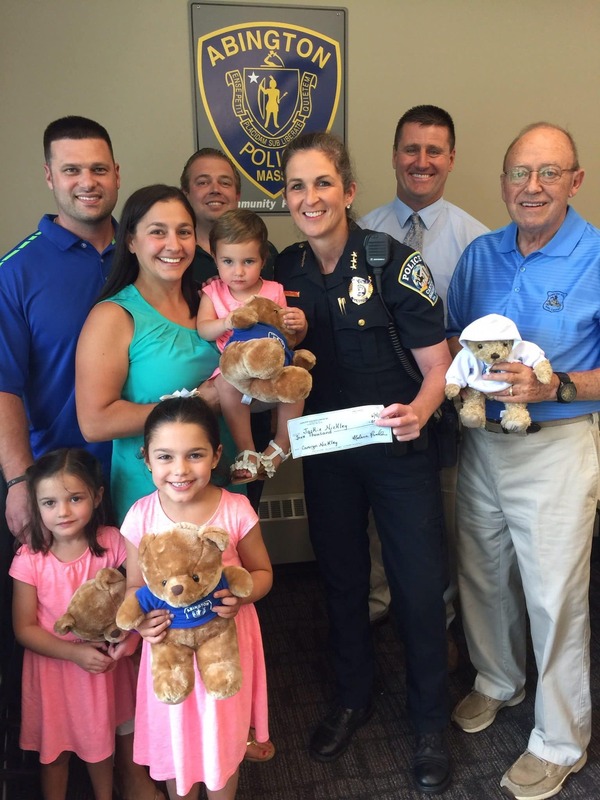 Cops for kids with cancer, made a donation today , to the family of Camryn Nickley, at the Abington Police Dept. Top Left to Right – J.T. Nickley, Jackie Nickley, Camryn, John Tassinari Jr. (CFKWC), Deputy Chief Helena Rafferty (CFKWC), Abington Police Chief David Majenski, Ret. Chief Ned Merrick (CFKWC), Brynn and Lauryn Nickley.